The competition for the 2014 ControlTrends Awards Thermostat of the year is heating up. Those in the know, think Entouch Controls, although not as well known as some of he other finalist, could be the best of the bunch. Entouch, makes a line of thermostats that are more than just thermostats. Most models come with the ability to monitor electrical loads and digital switches. Add in their easy to use cloud portal and for the cost of most thermostats you have a mini building or home control automation system. Add great customer support to a unique product offering and Entouch is clearly in touch with the needs of todays thermostat market. Good luck to Entouch and all our ControlTrends Awards Finalist. Voting ends January 15th, so if you have not voted yet click here and do it Now. 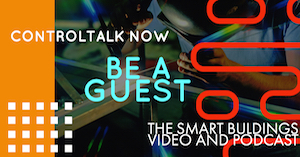 ControlTalk NOW for week ending April 6, 2014 features Niagara Summit 2014 Powered By Possibilities, and Tridium’s VP of Marketing and Communications, Jenny Graves(@AllThingsJLG). 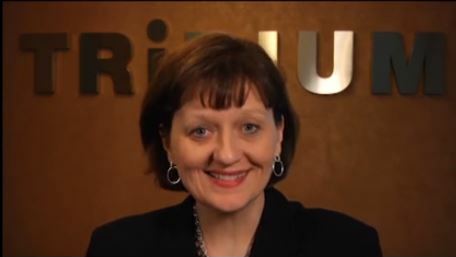 Jenny brings the ControlTrends Community up-to-speed with NS14 and the Niagara Innovator of the Year Award and the Niagara New Product Showcase Award and their respective prizes (HUGE!). With over 350,000 global instances of Niagara in operation, these new awards represent great opportunities for businesses using the Niagara Framework! Submit your Innovation or Product form by April 14, 2014! Winners will be voted on by Summit attendees using crowd sourcing through the social media channels. ControltalkNow For The week Ending April 6, 2014 from Eric Stromquist on Vimeo. 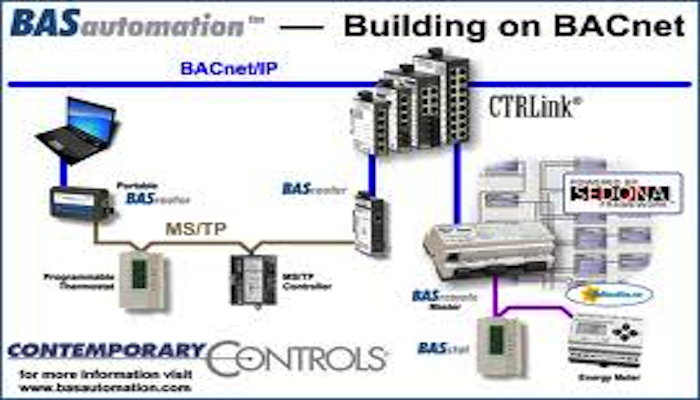 Contemporary Controls: Three Quick Facts about Our BASautomation Products: Three quick facts from Contemporary Controls: Did You Know – that BASrouters used in pairs can extend your MS/TP wiring? For example if you have a new building or a remote location and you would like to extend your MS/TP wiring to the new cabling without having to pull new wires. Ken Sinclair’s April Theme for Automated Buildings — Keeping the Cloud Open. Read about the very serious concerns that automatedbuildings.com Ken Sinclair raises regarding the openness of the CLOUD and what the cloud giants may be proposing — forewarning us of how the proprietary cloud noose knot is tied. Excellent articles by John Petze, Therese Sullivan, Toby Considine, Jim Sinopoli, and more. J2 Innovations — Visualize Any Data Source with One Technology: With FIN Builder you can now use one technology to visualize a variety of data sources. Whether you want data from a CSV file, Niagara, Sedona, BACnet IP, or content from the stock market, FIN Builder provides the one tool to do it all. Why is this important? You can now train employees in FIN Builder (who don’t need to understand details about Niagara, Sedona, etc.) to build the entire Graphical User Interface (GUI), lowering your total direct costs on the job. EasyIO is Proud Premier Sponsor at the 2014 Niagara Summit, in Las Vegas. A message from EasyIO’s Mike Marston: EasyIO is delighted and proud, to again be a Premier Sponsor at the 2014 Niagara Summit, in Las Vegas. At this 2014 Summit, EasyIO will release many new features that have been added to its flagship FG Series range of Controllers. 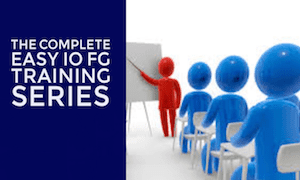 The FG is not to be confused with a JACE, as it is targeted at the smaller building’s market sector, however, it does leverage the Niagara Framework, and works perfectly with a JACE or Supervisor, as its Area Controller and/or Supervisor. ControlTalk NOW welcomes Tridium’s VP of Marketing and Communication, Jenny Graves(@AllThingsJLG) — who tells ControlTrends what the new Innovation and New Product Awards are all about. Make sure to get signed up for NS14, and for those Niagara Gurus, get your submission forms into NiagaraSummit@tridium.com right away (Must be received by Tridium NLT 5:00 PM EST to be eligible)! Johnson Product Update: Johnson Controls Variable Frequency Drives. Ken Smyers gets the 411 on the new and improved Johnson Controls line of Variable Frequency Drives: Micro Variable Speed Drives, Open Variable Speed Drives, IntelliPass Variable Speed Drives, and Enclosed Variable Speed Drives. 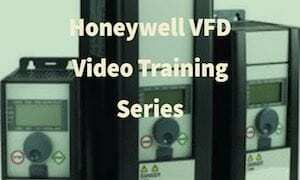 Johnson Controls Variable Frequency Drives from Eric Stromquist on Vimeo. More Great Energy Savings Products from WattStopper — New Optional Neutral Wall Switch Sensors. Marketing message from WattStopper’s Director of Product Marketing, Carlos Villalobos: I am pleased to announce a new family of Optional Neutral Wall Switch Occupancy Sensors, featuring WattStopper’s patent pending Neutral Sense Technology. This latest innovation from the brand you can trust for rock-solid reliability allows contractors to use any of these devices for two-wire OR three-wire applications, without any special configuration. 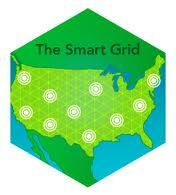 Smart Meter Investments Benefit Rural Customers in Three Southern States. April 1, 2014: Since 2009, the U.S. Department of Energy (DOE) and the electricity industry have jointly invested over $7.9 billion in 99 cost-shared Smart Grid Investment Grant projects. Tri-State Electric Membership Corporation’s (Tri-State) Smart Grid Investment Grant (SGIG) project has produced benefits for small, member-owned cooperatives and their customers in rural Georgia, North Carolina, and Tennessee in several ways. 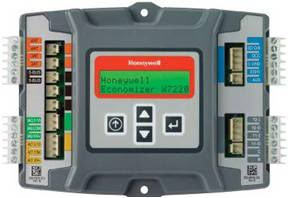 Honeywell JadeTM Economizer Firmware Update. Honeywell is continuously working to improve the Jade economizer controller. We update the firmware when we make significant changes to the product that will enhance the user’s experience. The last version of the Jade firmware was 1.07 released in 2011. Adding GM8 Energy Monitors to Entouch Thermostats: Stromquist & Company’s Dozier Mills shows you step by step how to add an Entouch GM8 energy monitoring module to the Entouch thermostats. Entouch Smart Thermostats not only provide great temperature control but do a great job monitoring energy consumption. Great job Dozier !! Keep the videos coming !!! DGLux QR Code Reader Released! “A New Technology For Enhancing Operational Efficiency.” DGLogik releases “A New Technology For Enhancing Operational Efficiency” QR Codes, the 2-Dimensional barcodes that resemble a pixelated square, are a free, open media for embedding links, downloads, geographical data, technical documents, instructions, tutorial videos and other content. The ability to apply a tag (QR Code) to your equipment which is directly integrated with your work order management systems, building automation system, and geographic location is set to become an incredibly useful tool for building operators to increase efficiency. Mr. Jones Control Tech Tip: How A Maxitrol Gas Pressure Regulator Works. 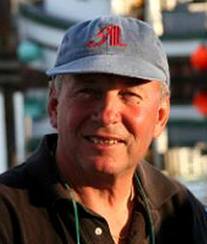 Stromquist & Company’s Bill Jones shares some more of his control knowledge. In this video, Mr. Jones breaks down the Maxitrol gas pressure regulator design and shows you everything you need to know to install and troubleshoot the Maxitrol straight-through gas pressure regulators. 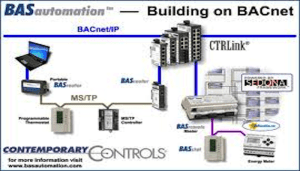 <ahref=”http://traffic.libsyn.com/hvaccontroltalk/79_Episode_79__ControlTalk_Now__HVAC_and_Building_Automation_Control_News_You_Can_Use.mp3″ target=”_blank”>Click here to listen to or download the Podcast version of ControlTalk Now. Stromquist & Company’s Dozier Mills shows you step by step how to add an Entouch GM8 energy monitoring module to the Entouch thermostats. Entouch Smart Thermostats not only provide great temperature control but do a great job monitoring energy consumption. Great job Dozier !! Keep the videos coming !!! Does Entouch Make The Best Communicating Thermostat ? With the 2013 ControlTrends Awards Nomination Process in full swing, Entouch Controls offers a lot of power in a small package. Entouch’s James Walton, who is on the ballot for 2013 Best Technical support person, breaks down Entouch’s approach to creating “perfect” thermostat experience. With the ability to monitor electrical inputs, compare loads with equipment and see all this data on a cloud based dashboard, Entouch is much more than a thermostat. Please note that Entouch has rolled out new additions to their product line since the filming of this video. Click here to get a nomination ballot. Can you monitor power consumption and external KW loads with your thermostat? Let Stromquist & Company’s, Tim Chamblee, show you how easily this can be done with the EnTouch Thermostat system. Stay tuned to ControlTrends for more of Tim’s tech Tips. Thanks to James Walton, from Entouch controls, for showing the crowd at Stromquist & Company’s contractor day, what a great solution Entouch has for light commercial buildings. Do you want a low cost controls solution that also monitors electrical loads, lighting, and can be accessed via the web? Entouch might be just what you are looking for. Click here to see, Stromquist Company’s, Dozier Mills, install an Entouch thermostat. EnTouch Controls is one of the finalists in the 2012 ControlTrends Thermostat of the Year. EnTouch has stiff competition from Honeywell, Viconics, Nest, and Ecobee. The coveted Thermostat of The Year Award winner will be announced at the 2012 Control Trends Awards this January in Dallas,Texas. If you think EnTouch has what it takes to be the 2012 Thermostat of The Year, then register to vote, and we will send you a ballot so you can vote for EnTouch and your other HVAC superstars. If you have seen Part 1 and Part 2 of this three part training series you know what cool products EnTouch makes for light commercial applications like portable classrooms and restaurants. EnTouch is a nominee for the 2012 ControlTrends Awards Thermostat of The Year. EnTouch has very solid competition from Nest, Honeywell, Ecobee, and Viconics for this prestigious Award. To vote for EnTouch or any of our other nominees you must register to vote. We will send you a voting ballot the first week in January. We will not share your information and will only send you information about The ControlTrends Awards. Do you want to see an EnTouch system being installed? See our Dozier Mills install and configure the EnTouch Thermostat and the EnTouch Energy Monitor. Cool right? You saw our Dozier Mills install the Entouch Wireless Thermostat and energy monitor in his home, now get a more in depth look at the Entouch Thermostat system in a series of Lunch and Learns from Entouch Controls James Walton. The Entouch Thermostat solution is perfect for light commercial buildings and portable classrooms.